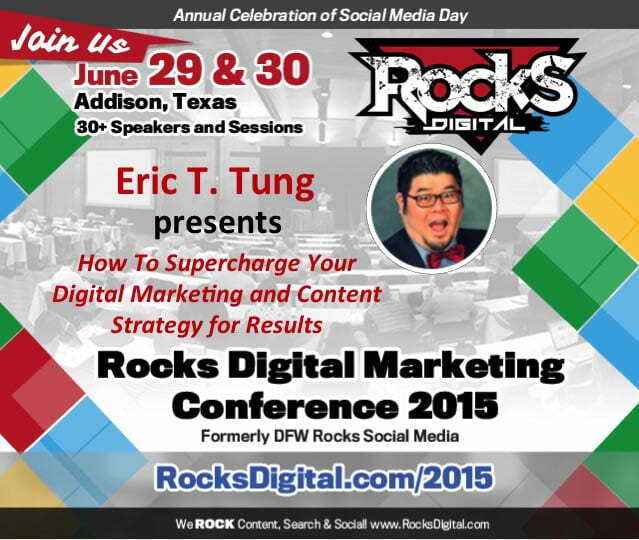 Eric T. Tung is a social media manager, strategist, consultant, advocate, speaker and blogger. As a social media manager at BMC Software, he is responsible for event strategy, growing social media communities across multiple hundred-million dollar lines of business and also leads internal employee social media training and activation. While at Spark Energy, Eric expanded social networks to nearly 40,000 members within 12 months, and his work in social media communications was recognized by the company president as being an “instrumental contribution” to Spark Energy being awarded the J.D. Power & Associates Customer Service Award for Excellence. Eric has over 75,000 personal connections in his networks, is one of the 25 most followed people on Twitter in Houston and was one of the early adopters on Facebook, Twitter and Google+. Eric is ranked as a top influencer in Social Media by Forbes three years in a row, has spoken at countless conferences including Social Media Marketing World 2014 & 2015, Social Media Tulsa 2014 & 2015 and Big Design 2014. Prior to his position at Spark Energy, Eric was in charge of online communications and had initiated social media strategy at the largest independent power producer, GDF SUEZ. 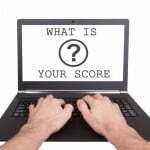 He has also held sales and marketing positions with Apple, Dell and National Instruments. A graduate from The University of Texas at Austin with a Bachelor’s of Business Administration in Marketing, he began his career with Newell Rubbermaid becoming a Key Accounts Sales Manager with the Home Depot account and was solely responsible for sales at nearly 100 stores in the Northeast totaling $30 million in sales annually. 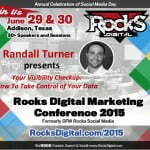 Eric is an active member of the online marketing community in Houston. He has also served as an organizer for the annual Texas Children’s Hospital Cure Kids Cancer Radiothon, raising over $3M in funds for children’s cancer research. He is an active fundraiser for the MS-150 ride to cure Multiple Sclerosis and The St. Baldrick’s Foundation, to help cure kids’ cancer. We hear about digital marketing, specifically content creation all the time, and how great it is for SEO and business, but what are the actual steps you need to take to implement a cohesive content strategy? Some of the topics that will be covered are persona development, charting personas to sales cycles, identifying questions and platforms, and how to increase inbound leads. If you want to learn more about content marketing from A-to-Lead then this session is for you.